As the SoCalCycling.com Team wraps up a successful 2015 season, we would like to thank all of our sponsors and supporters for making it a great season! Our sponsor’s support is greatly appreciated and has been instrumental in the Team’s success this year! 44 Top Ten Placings and Competed in 63 races! 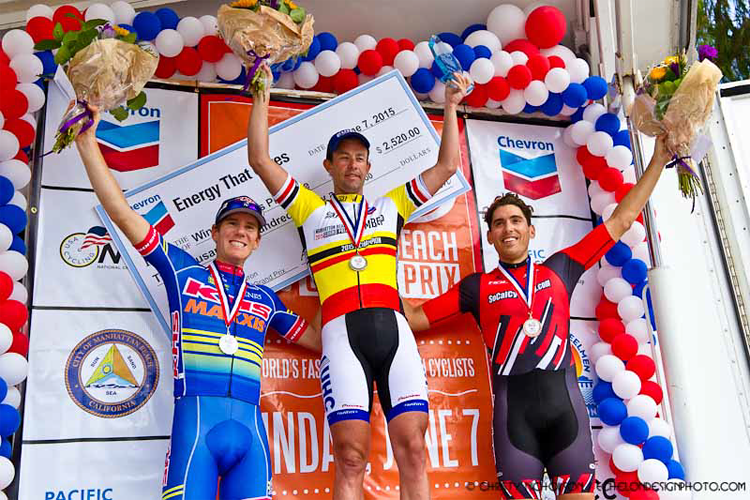 Garrett Olsen (SoCalCycling.com Team) celebrates his 3rd place and podium at the Manhattan Beach Grand Prix! As we head into the off-season the Team will take a well deserved break from competition, while we gear up for the 2016 season which begins in January! The Management Team of Frank Sarate and Christy Nicholson recently attended the Interbike trade show in Las Vegas last week, where we were excited to connect face to face with many of our partners and see their new product lines! 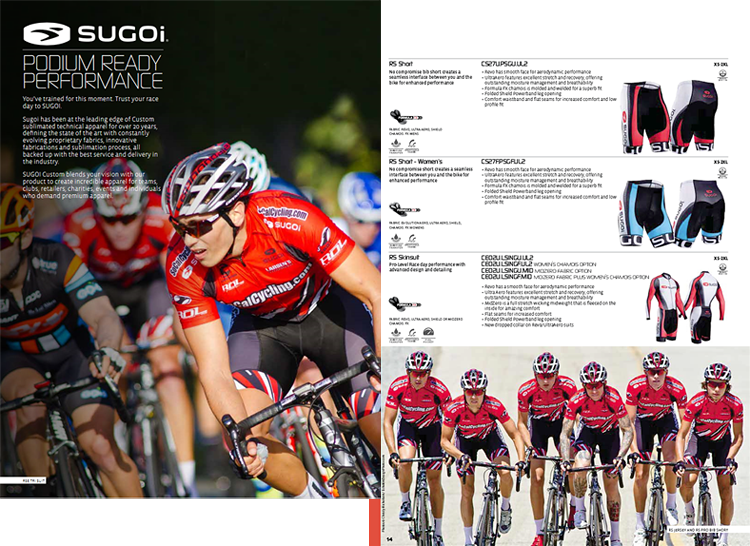 We are stoked that our clothing partner SUGOI featured the SoCalCycling.com Team in their 2016 custom catalogue at Interbike! 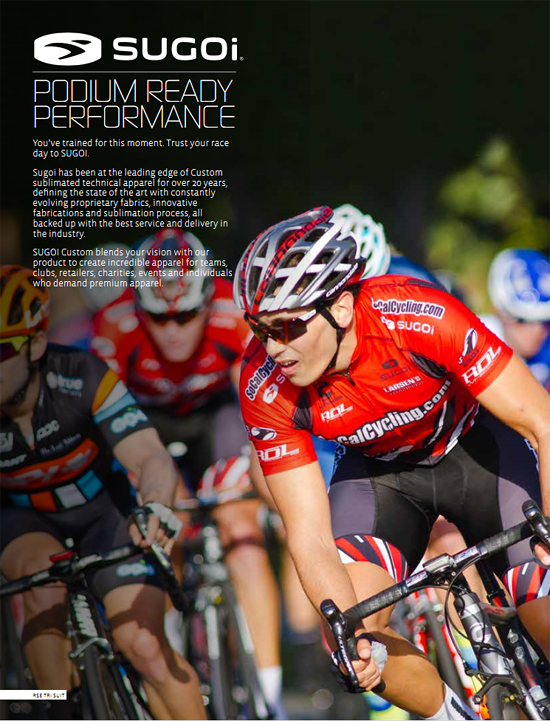 The catalogue will be featured at all SUGOI and Cannondale dealers worldwide, so be sure to pick one up!